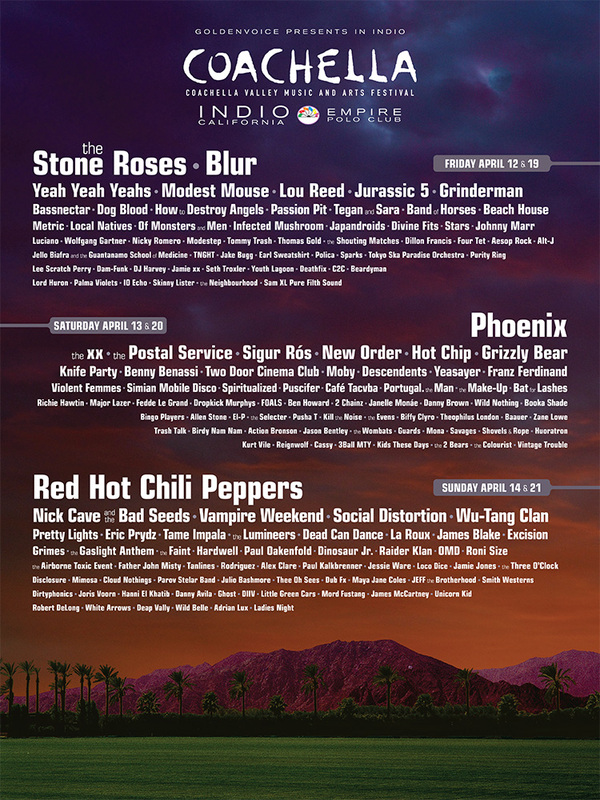 Coachella has released their official lineup for 2013. The event takes place the weekends of April 12-14 and April 19-21, 2013. Find details at Coachella.com. duh.